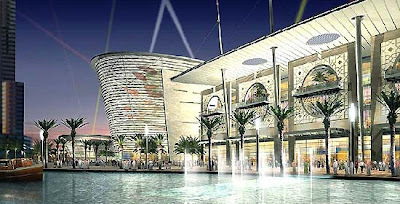 3LAB's Guide to Luxury Living: DUBAI IS BUZZING ABOUT 3LAB!!! 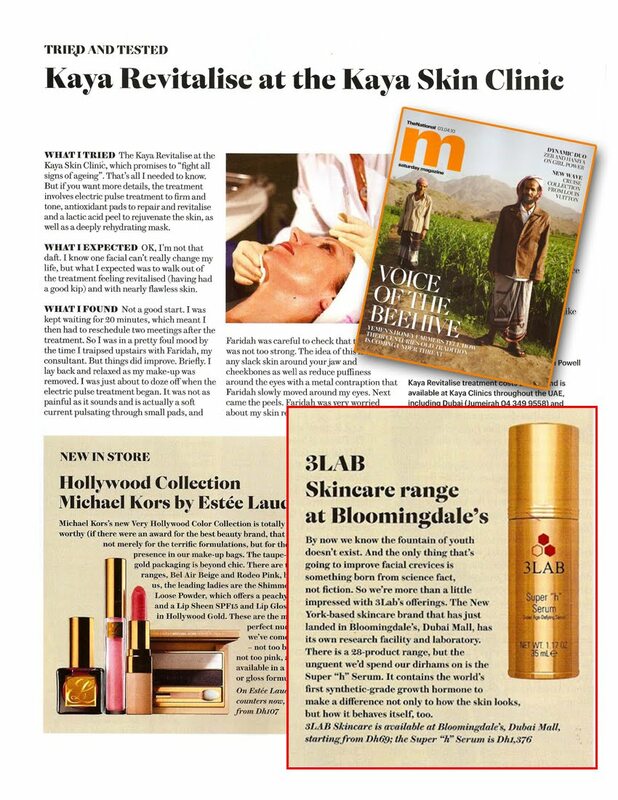 Since opening in Bloomingdale's, Dubai only two months ago, 3LAB is really leaving a great impression on the global market! 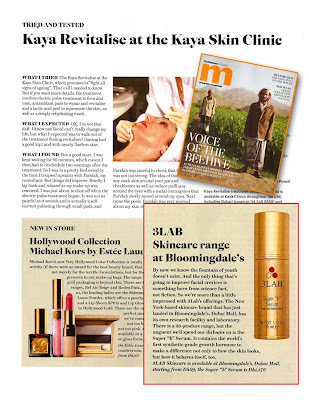 The New York based skincare range from 3LAB has just launched in the Middle East, exclusively in Bloomingdale's. The brand boasts 28 unique products in its range which capitalise on advanced state-of-the-art technologies and rare high-grade raw ingredients to contest the forces of nature and time. the Super "h" Serum is an advanced anti-ageing treatment containing Nano Claire GY TM, the world's first cosmetic grade synthetic growth hormone as well as EUK-134, the Dhs734,54/kilo antioxidant proven to stop and reverse the signs of past damage. With all of these futuristic ingredients, we hope they really have found the magical ingredient to stay forever young!" By now we know the fountain of youth doesn't exist. And the only thing that's going to improve facial crevices is something born from fact not fiction. So we're more than a little impressed with 3Lab's offerings. The New-York based skincare brand that has just landed in Bloomingdale's, Dubai Mall has its own research facility and laboratory. 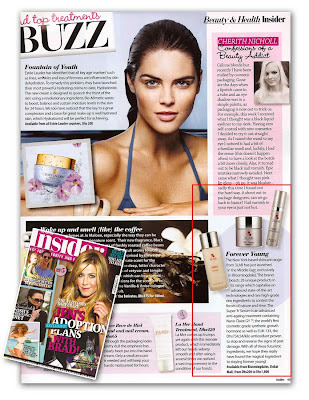 There is a 28-product range, but the unguent we we'd spend out dirhams on is the Super "h" Serum. It contains the world's first synthetic-grade growth hormone to make a difference not only how the skin looks, but how it behaves itself, too." Thank you to Insider and M Magazine! ...the next time your in the luxury capital of the world, stop by our counter! Definitely would like to go there some day, it seem such an interesting place.